Fish red blood cell, Coloured scanning electron micrograph (SEM). 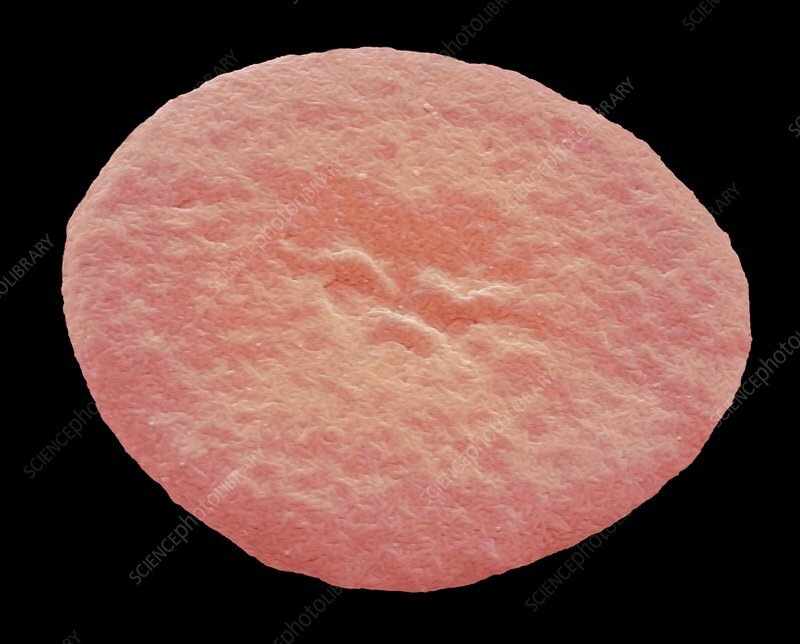 Red blood cells in fish are nucleated and disc shaped unlike the biconcave red blood cells of mammals. Unlike humans, fish exhibit single cycle circulation, where the oxygen deprived blood comes to the heart, from where it is pumped to the gills and then circulated to the entire body. Magnification: x 9000 when printed at 10 centimetres across.